Ashton Kutcher and Mila Kunis have reportedly tied the knot. The A-list couple, who are proud parents to nine-month-old daughter Wyatt, are thought to have walked down the aisle over the Fourth of July weekend. Sources close to the stars told People magazine it was a private ceremony, though their reps are yet to comment. Ashton and Mila first met on the set of hit TV series That '70s Show in the late 90s, where they played on-screen lovers Michael and Jackie. Ashton then went on to have a high-profile marriage with Demi Moore, while Mila dated Macaulay Culkin. Ashton and Mila became engaged in February 2014, and set tongues wagging in January after posting a photo on social media saying "Happy New Year Love the Kutchers". 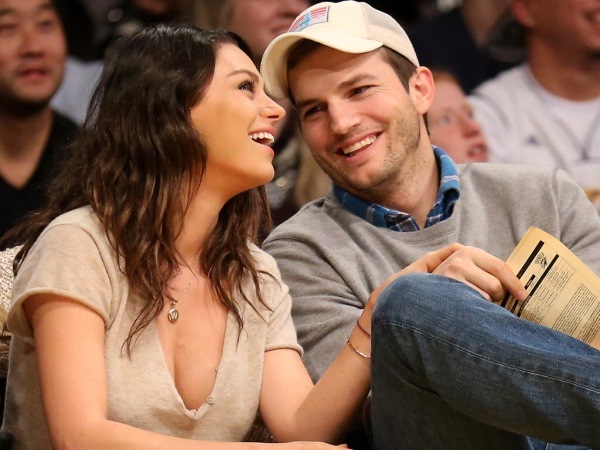 In March, Mila (31) was quizzed by talk show host James Corden on her marital status. "I don't know. Maybe. Maybe," Mila told James when he asked if she and 37-year-old Ashton were married. Since the arrival of Wyatt in October life has changed for Mila and Ashton. Because they have high-flying careers, both parents regularly have to attend red-carpet events. When Mila first had to do this after giving birth, the new mother found it tough.